4-amino-a-[(tertbutylamino) methyl] -3,5-dichlorobenzyl alcohol hydrochloride ". 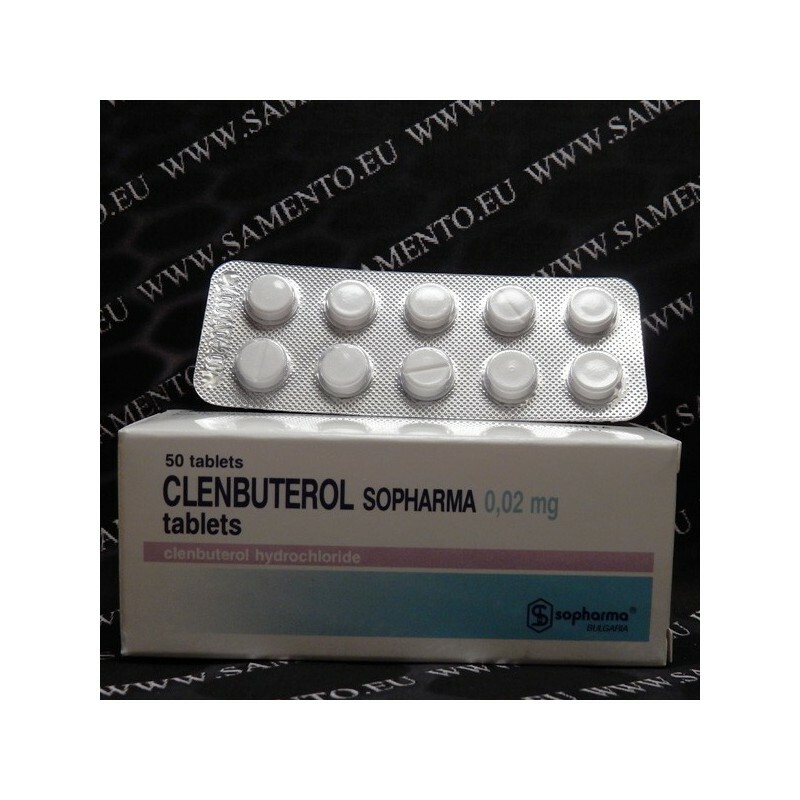 Clenbuterol Sopharma 20mcg (100 tabs) has a strong anticatabolic effect, which means that it reduces protein in muscle cell means. It burns fat without dieting, that's why many people swear to 20mcg Clenbuterol Sopharma (100 tabs) (buy Spiropent). An agent that mediates broncholytic by selective stimulation of the ß2 receptors. long biological half-life and a rapid and complete absorption when administered orally. Invasion half life of clenbuterol is 1 hour, the distribution corresponding to an open 2-compartment model with a side pocket. Elimination is primarily renal (87% after 168 hours). Dose intervals of 12 hours, are sufficient to maintain a plasma. Prophylaxis and treatment of bronchospasm in bronchial asthma, chronic bronchitis and emphysema associated with bronchitis. The recommended daily dose for adults and children> 12 years is 0.04 mg / day. as continued therapy, the dose may be often reduced to 0.02 mg / day. Tablet: Adults and children> 12 years: 0.02 mg twice daily. Children <12 years: According to body weight. Overdose can lead to restlessness, anxiety, hot flashes, palpitations, tremor or pronounced increase in blood pressure. With tremor, muscle enzymes specifically elevated in serum. A dose of 0.6 mg 20mcg Clenbuterol Sopharma was tolerated without complications after an a-blocker was given approximately 90 min after administration. Symptoms disappear immediately after administration of a blocker. Management of overdose should at short interval cumulative, depending on the clinical picture. 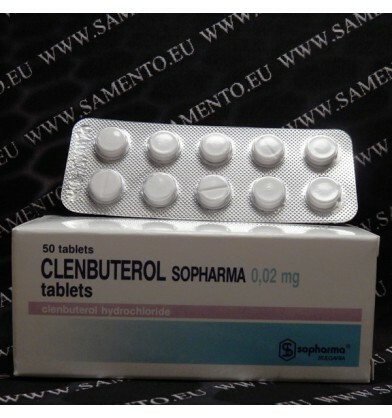 It should be noted that the effect of clenbuterol may extend beyond that of the antagonist, such that it may be necessary to repeat the administration of the a-blockers. Thyrotoxicosis, idiopathic hypertrophic subvalvular aortic stenosis, tachycardia, tachyarrhythmia. Caution is advised when treating patients with recent myocardial infarction. Clenbuterol Sopharma 20mcg (buy Spiropent) should not be used during the first trimester of pregnancy. Because of its inhibitory effect labor, it should not be taken to give birth. As with all beta-agonists, can Sopharma Clenbuterol 20mcg (100 tablets) (buy Spiropent) to produce tremors especially in early treatment. It can happen unrest occur, extrasystoles and tachycardia at therapeutic doses.